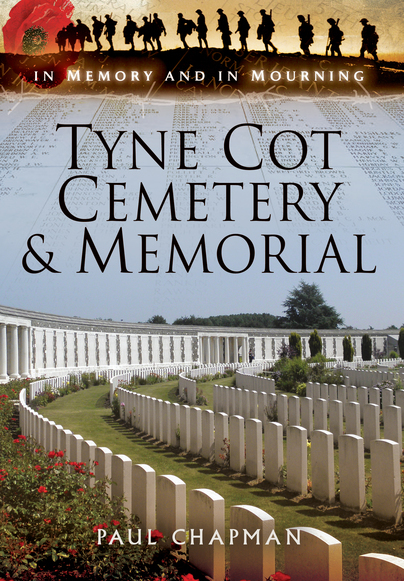 You'll be £10.00 closer to your next £10.00 credit when you purchase Tyne Cot Cemetery and Memorial. What's this? This is a comprehensive and highly emotive volume, borne of years of intensive research and many trips to the battlefields of the Great War. It seeks to humanise Tyne Cot cemetery, to offer the reader a chance to engage with the personal stories of the soldiers whose names have been chiselled there in stone. Poignant stories of camaraderie, tragic twists of fate and noble sacrifice have been collated in an attempt to bring home the reality of war and the true extent of its tragic cost. It is hoped that visitors to the battlefields, whether their relatives are listed within or not, will find their experience enriched by having access to this treasure trove of stories. Paul Chapman, founder and ex Chairman of the Northampton branch of The Western Front Association, is a keen historian and has been a member of the WFA for many years. Paul is also a member of the Talbot House Association. A regular visitor to France and Flanders, for a number of years he has arranged and escorted tours to the Ypres Salient. Paul's interest in the Great War on the western front stems from his paternal grandparents. His grandfather served with the Canadian Army Service Corps and, after his demobilisation became, along with many fellow ex-servicemen, one of the first to join the ranks of the Imperial (now Commonwealth) War Graves Commission.